Noire Lance/Glaive PSA for PMEX v1.0 by VirtualBeef, BraveDragonWolf, Pokemaster Ely with credit to BraveDragonWolf for the original 4GO Noire Import and PSA, the sfx used and some animtions, ely for additional costumes, importing a new face, editing animations and help with testing, CSProject used for rendering the cosmetics, JOJI for the soundbank and effect.pac expansion codes and their guides, MoeNDerrty, Large Leader, Revan and Shiny Mammoth for the some of the lance animations from their Weapon Switch Chrom Moveset, Legacy XP devs and Lillith for some animations and psa coding, Jocky for the Black Knight Model parts, soundsresource for additional sfx. DISCLAIMER: This is not the same moveset as BragonDragonWolf's 4GO Noire PSA. This PSA aims to make Noire more of a lance/glaive fighter rather than a sword fighter as her main weapon in 4GO is a glaive. This PSA comes with expanded sfx and gfx, also changes side taunt to cycle through chibi versions of Noire, Uni, Black Heart and Black Sister with appropriate sfx. It also includes fully rendered SD and HD cosmetics. If you find or experience any issues with this mod, Please PM me. Yes. 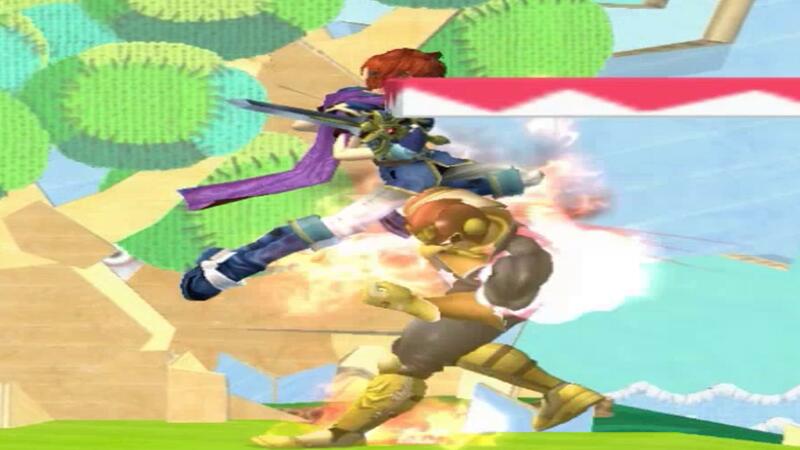 Also just like with PM Captain Falcon, if you press D-Pad up as soon as you land the knee, Roy will say eeyaaah. Another take on a glitch character costume. Metal Sonic Revamp by Ubergruvin with credit to Lone Devil and the Legacy XP for the model and moveset this is based off. Another quick mini-release! I've never been fond of XP's Metal Sonic model: the specs always looked plastic-y to me, and the eyes seemed weirdly far apart. I made this to ease my personal gripes with the model. It's not perfect, but I think it's a fair improvement. This pack includes every costume in XP, except Classic Metal, which was really unusual with the spec setup. No UI is included, as I don't think Metal Sonic has CSProject compatibility, and I didn't care to add it. - New 'Final' file, hopefully this'll get rid of those crashes. 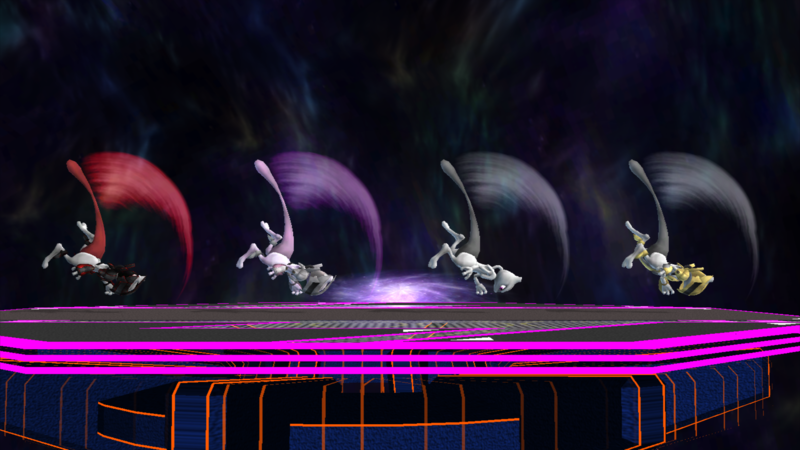 - Aerial Final Smash fixed up so no more T-Posing. - Female Corrin alt PSA exists! So now you can have both if you're insane enough. Or take a fun different spin for one of them so they're a bit different. 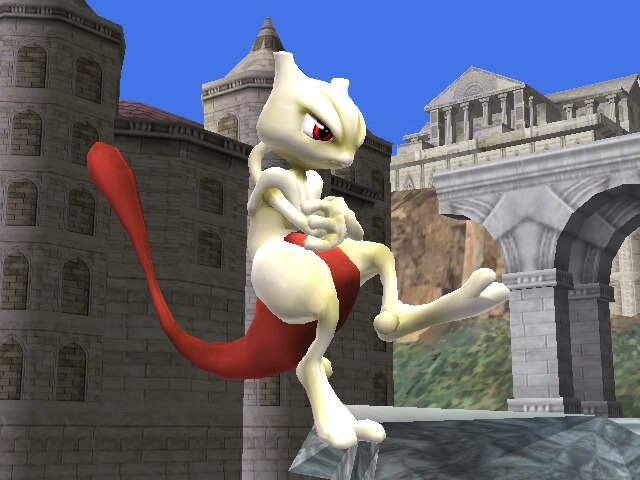 - Neutral (Aerial version) and Side (Back kick) specials shouldn't sometimes teleport you around anymore. Shouldn't crash like the beta version did, unless I messed something up whilst uploading. 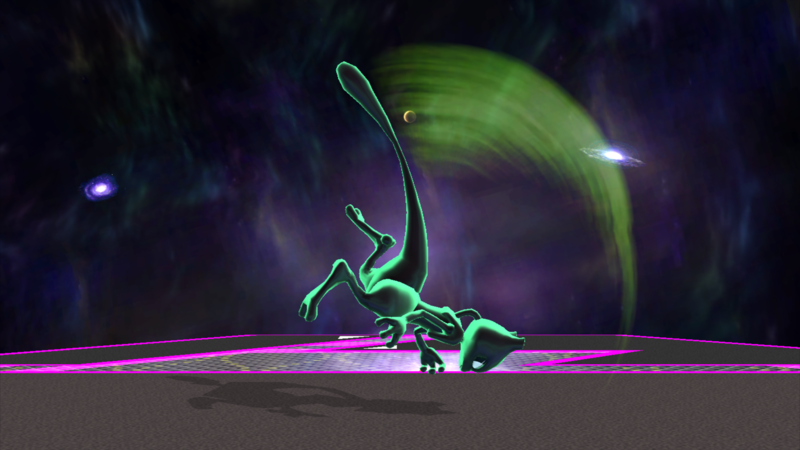 Dragon Lunge doesn't quite work as it should, since it detects collisions differently, but after you're pinned to something everything that you can do is just about proper. 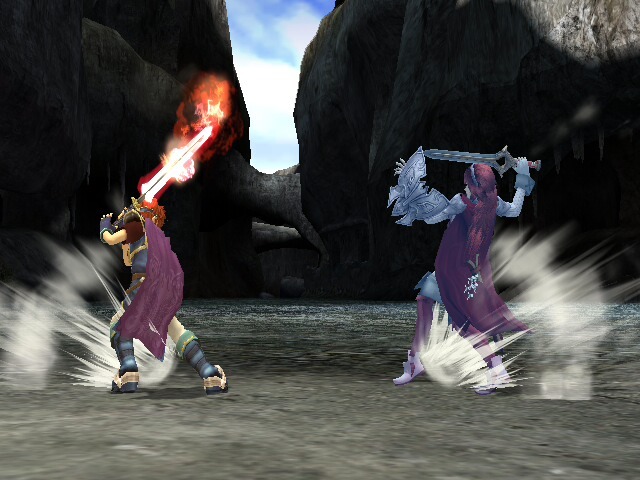 As with Robin, the MotionEtc files are only in Male Corrin's folder, as they would be identical for Female Corrin anyway, so it's just a way to save a bit of size. Let's see... uh... PSAs and SFX are interchangeable. Intended for use with BrawlEx, based off of Link so if you do use BrawlEx, use his configs and module. Neptune PSA for PMEX v1.5 (Victory Neptune Update) by VirtualBeef, BraveDragonWolf, Pokemaster Ely with credit to BraveDragonWolf for the original PSA, ely for the pose used in Victory Neptune's cosmetics and for the help with making the PSA PMEX compatible, soundsresource for the sfx used, Lillith for their Separated Roy SFX for PM 3.6 which was used as a guide/base for sfx, CSProject used for rendering the cosmetics, JOJI for the soundbank and effect.pac expansion codes and their guides. UPDATE: Added Victory Neptune to this pack, also comes with both HD and SD cosmetics posed by ely. 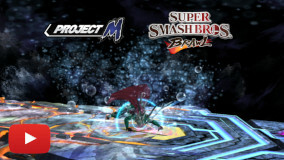 Here's BraveDragonWolf's Neptune ported over to PMEX fully with brand-new sfx and some new gfx. Also includes balancing changes such as Neptune's side taunt no longer healing her, instead it now shows a chibi version of either herself, Nepgear, Plutia or Peashy with appropriate sfx. This mods makes Smash 3 Doctor Mario playable with Legacy XP and Smash 2 Doctor Mario PSA mods that have added physics for the coat and the stethoscope. 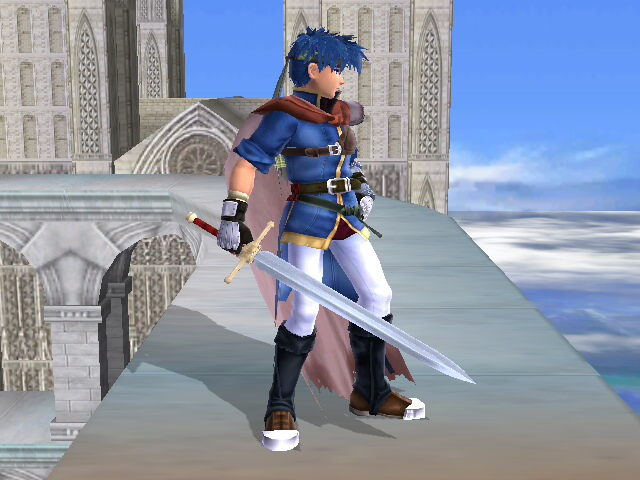 The zip includes all the 10 orignal Smash 3 recolors and costumes, enjoy! Alice Margatroid Lucina by Chucklez with credit to jaystring for the Lucina model import, Moe for the Lucina CSProject setup, KorytheMaril for helping with rendering, CSProject for cosmetics, Kemonomichi for the cover i used as a base. The included models aren't really 'necessary' they're just SJS's, with their filesize downed a bit so the game doesn't explode. Since MKHT released his Waluigi PSA I always saw something off about his Waluigi model, it just didn't look like the Waluigi I know. I desperately tried to replace MKHT's with Sm4sh's or Brawl's Waluigi but with no success, but now, thanks to Kingbob I got the opportunity to finally do it! The model is from Sm4sh's assist trophy with MKHT's Waluigi gloves. 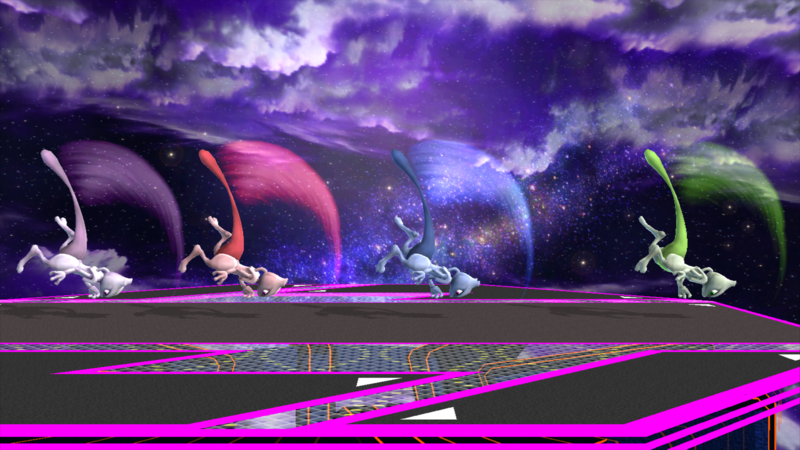 The textures are a mix between Brawl's, Wario's, Mario/Luigi's and of course Sm4sh's AT's as the base! This pack includes recolors from MKHT's old Waluigi PSA which used the AT model as well as the current ones with some changes to them along with a custom Blender scene of Waluigi with MKHT's original pose (which I tried to replicate) for you to standardize your own recolors! Many thanks to Kingbob for making one of my projects possible! 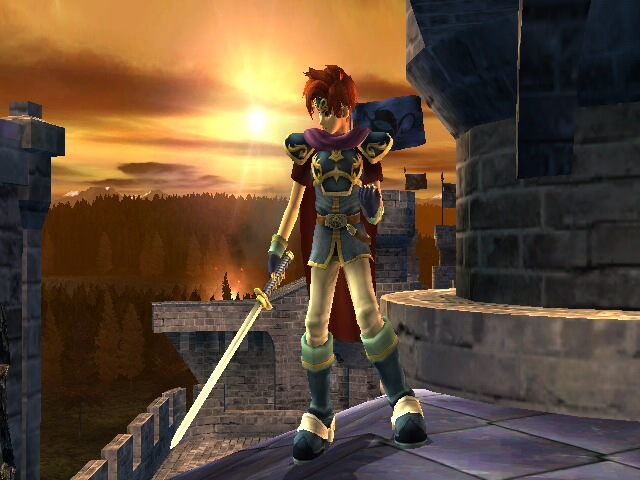 As with male Robin, new renders! 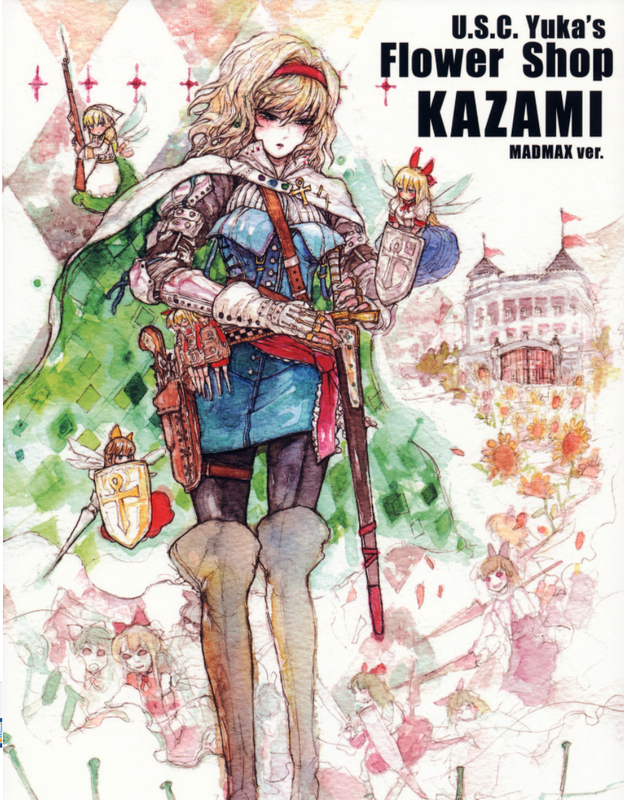 I wonder if anyone knows what they're based on. hmmm. 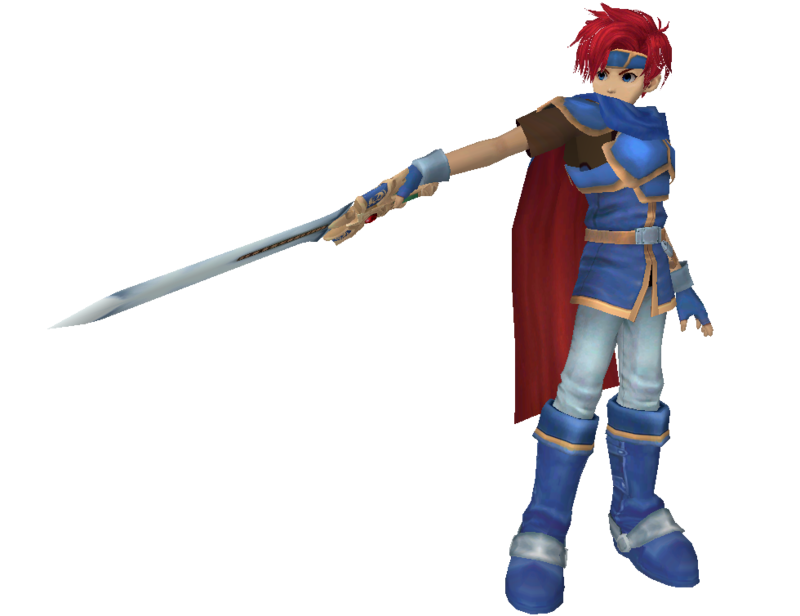 Also, an alternate version with Silver Sword and Sol instead of Bronze Sword and Levin Sword, this is what I'm using, but may as well leave them here as well anyway. 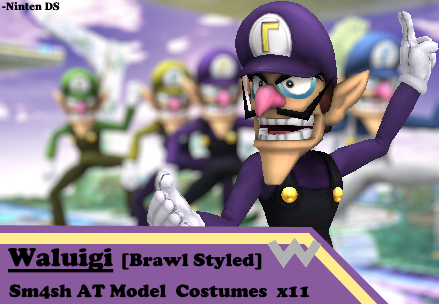 Trophy Waluigi by Ubergruvin with credit to KingBob for making the moveset, MKHT for the original models and moveset, Car for the renders. UPDATE: Renders have been added by Car. Finally, a mod for my favourite character, Waluigi! 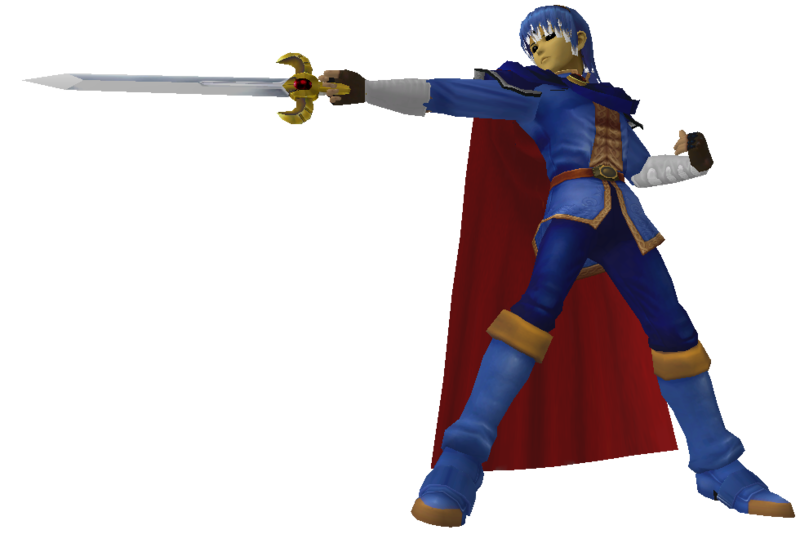 Ever since MKHT first released his moveset, the one thing that struck me as underwhelming was the model's texturing. 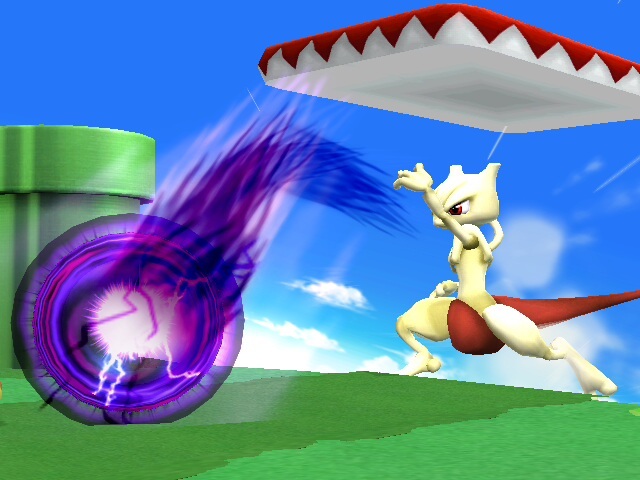 It was oddly bright and lacked a lot of the details the Assist Trophy used. Well, I've come to solve that! 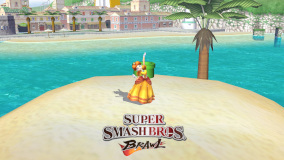 This mod takes a few design aspects from the Trophy, as well as a few details the Mario Brothers have in Brawl, like the additional buttons and the pant leg cuffs Luigi has. This also contains every recolour and alternate Waluigi has! No renders this time around, though I will update if Waluigi ever becomes CSProject compatible. 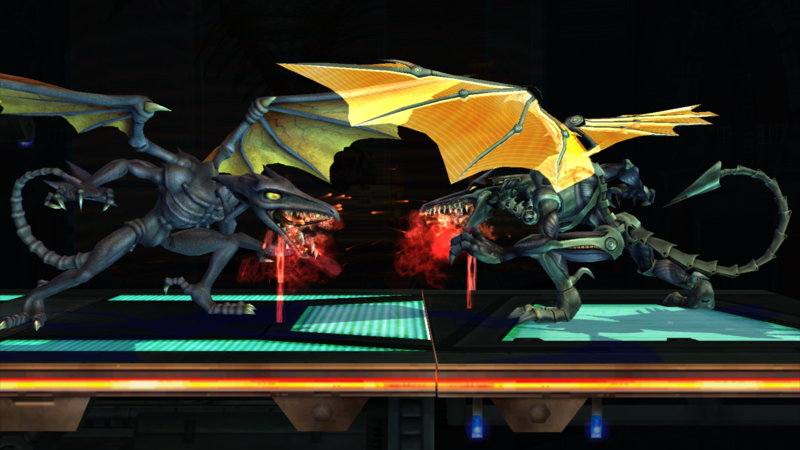 ***UPDATED*** Uberguvin helped fix a few issues with final smash eyes, and we've uploaded a placeholder final smash! I also fixed the tennis ball shader. Credit goes to MKHT for creating the original mod! He's done a fantastic job capturing what Waluigi would play is in Super Smash Brothers! These new specials aren't meant to take away from his original mod, they are simply what I like! That's kinda the beauty of modding is if you want to change things, you can! 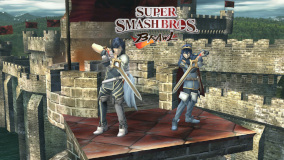 Made to be a cloned character, with use of BrawlEx, Like with Lucina and Roy, this Chrom serves multiple purposes for me, one is as a stepping stone for working up to an Ultimate Chrom as well as just for fun and so on. The included models aren't really 'necessary' they're just jaystring's, with their filesize downed a bit so the game doesn't explode, along with fixing up the sword placement and adding a 'sheathed' version for a bit more accuracy. The included models aren't really 'necessary' they're just jaystring's, with their filesize downed a bit so the game doesn't explode. 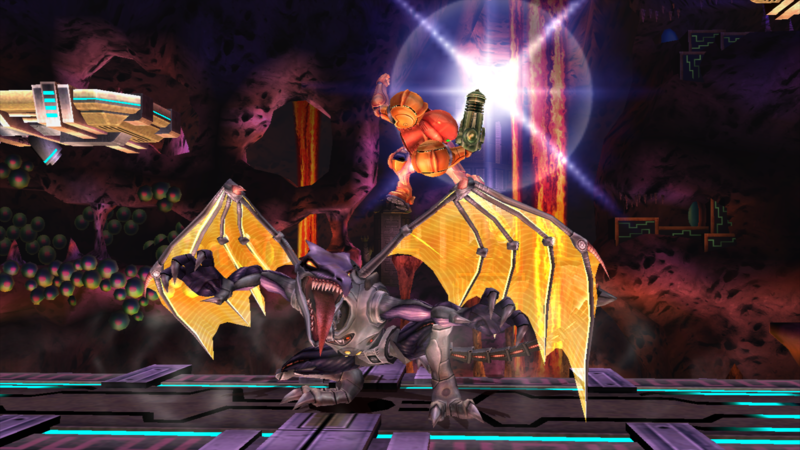 A simple modification for Lillith's Smash 4 Roy PSA (which can be found here : http://forums.kc-mm.com/Gallery/BrawlView.php?Number=215135 ) which turns it into an almost Chrom moveset similar to Ultimate. This mod is unfinished as I have deemed it mostly useless to reanimate Chrom's Ultimate animation due to the fact that they can be ripped. However I do hope you find something useful in this as people on Discord have requested that I release this mod. The game is by default hardcoded to terminate articles after a hitbox connects. 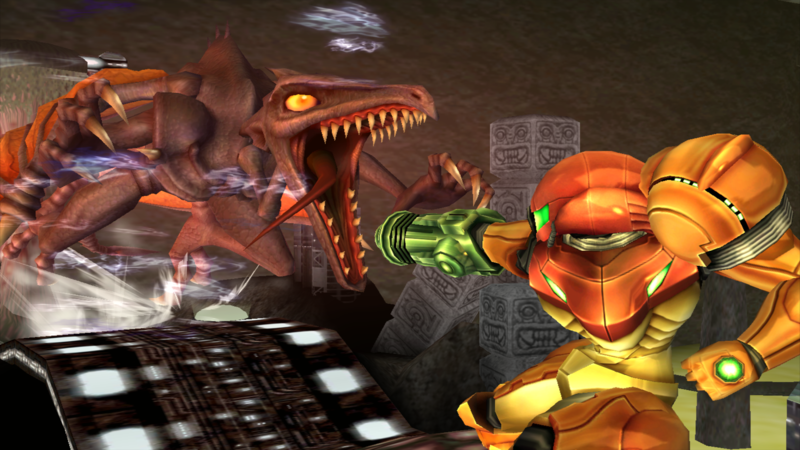 This allows for articles to only be terminated on command, which opens possiblities for things such as multihit projectiles and doing certain actions upon a hitbox connecting. After putting the codes (in the How_To_Use.txt) in your GCT, simply set RA-Basic in the article action where you want it to be unstoppable as 0x1ABE11ED. That's it. All other articles will be unaffected. The How_To_Use.txt gives more detail on how to use, answers questions, etc. The download also includes demo movesets for every character's article affected by this code so you can see how to do it to your own PSA (it's very simple, it's just that variable set, but look at these if you need help!). GIF 3: Reflectors still work properly! If there are any glitches or oddities please let me know so I can try fixing them! I tested this out A LOT though and everything checks out. Feel free to contact me on Discord if you have any questions! 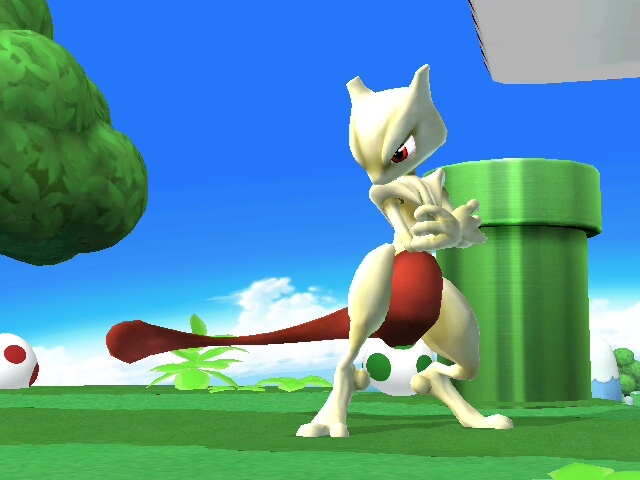 Mewtwo's front sprite from Pokémon Yellow caught my eye while I was looking for costume references, so I decided to make it. This one was pretty quick, I should have more interesting stuff coming soon. Download contains CSProject cosmetics, HD and SD format. Credit if used, please.